avast! Internet Security detects and blocks 100% of the world's most malicious Zeus Trojan strains. The Zeus Trojan is the most prevalent type of financial malware. Zeus infects a user's computer and lies in wait until the user logs on to a banking website. Once that occurs, it attempts to steal the user's bank account information, passwords, and other personal information. This summer Zeus made its way to Facebook, showing how it can evolve to avoid detection and circumvent countermeasures employed by banks and security vendors. This dangerous Trojan is detected by avast! Antivirus. 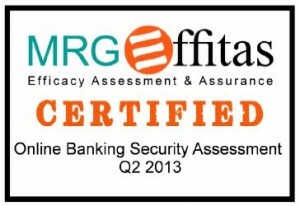 In a recent simulation for MRG Effitas Online Banking / Browser Security Assessment Project, avast! Internet Security prevented the simulator from capturing user data and detected and blocked results for the 100 Zeus samples, all from live URLs. The same top-rated antivirus and anti-malware protection is available in all AVAST products, including avast! Free Antivirus. Protect your online identity while securing your sensitive online financial transactions by using avast! Internet Security.